The Seahawks blew out the 49ers on Sunday, but they had a couple of key players go down with injuries. Seattle’s easy win over the San Francisco 49ers on Sunday came at a cost. Starting right guard D.J. Fluker and starting tailback Chris Carson each left the game with injuries in the fourth quarter. Carson, though, escaped significant damage, saying he dislocated his index finger but that he had it stitched together quickly and should be okay. He talked to reporters afterward with no significant wraps on his hand. Coach Pete Carroll, though, was a little more cautious. 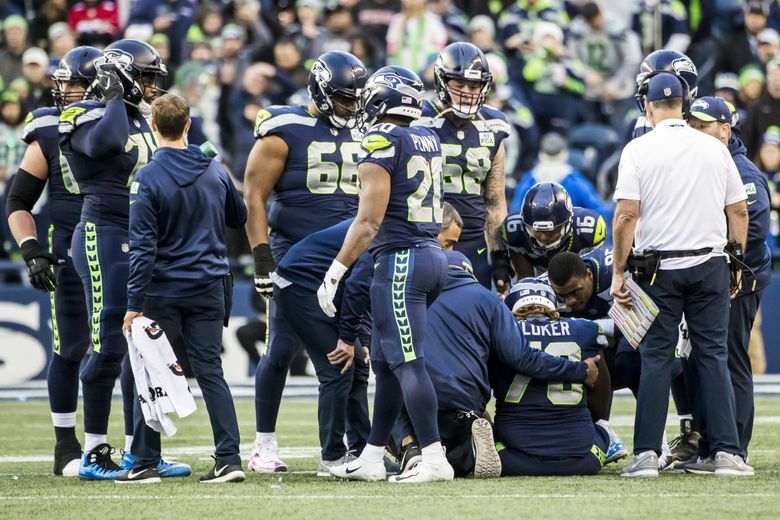 Fluker, though, could be out a while after suffering what Carroll said was a significant injury. Fluker hurt his hamstring early in the fourth quarter, and appeared visibly upset as he was treated on the field. He managed to hobble off the field while supported by two trainers. Fluker was replaced by Jordan Simmons and Seattle then gave up two sacks after having reached the 1-yard line and forced to settle for a field goal. Left tackle Duane Brown, though, said he didn’t blame the change in the line for those sacks. But he also said the loss for any amount of time of Fluker — who signed as a free agent in the spring and whose emergence as the starter at right guard has been viewed as a key in reviving the team’s running game — would be a tough one.